I read this book for the first time when I was about 15 years old. 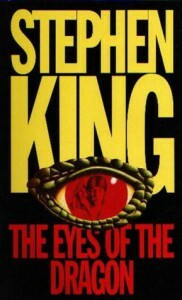 It was the first Stephen King novel I'd ever read (although my mother had read snippets of "It" and "The Stand" to me from time to time as she was reading them), and it was an excellent introduction - an "easing-in", if you will - into the world of King's novels. I read it again in my early 30s, and it is still a wonderful book. I've read about 20 of King's novels, including the Bachmann books and numerous short stories, but this is still probably the best way to introduce new readers to Stephen King's works without scaring, creeping, or grossing them out.